Viernes Culturales celebrates the 13th anniversary of Dr. Paul George’s history walking tours of Little Havana. Dr. Paul George has developed 12 different tours of the surrounding neighborhoods. 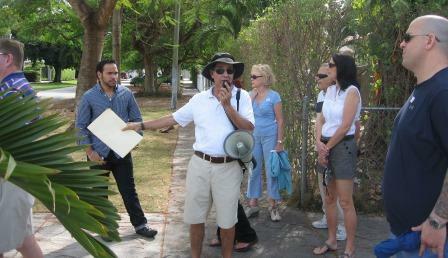 This unique historic walking tour experience brings a unique and different audience from all parts of South Florida. Ask Dr. Paul George about his latest Little Havana book.